H202 (Hydrogen Peroxide) To Treat Algae? 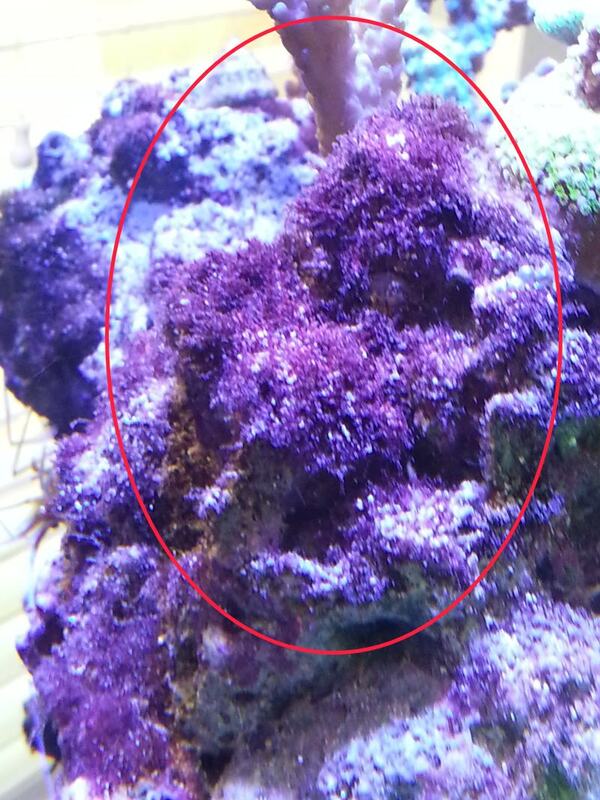 I'm having an issue with red turf/hair algae, on my top rocks. 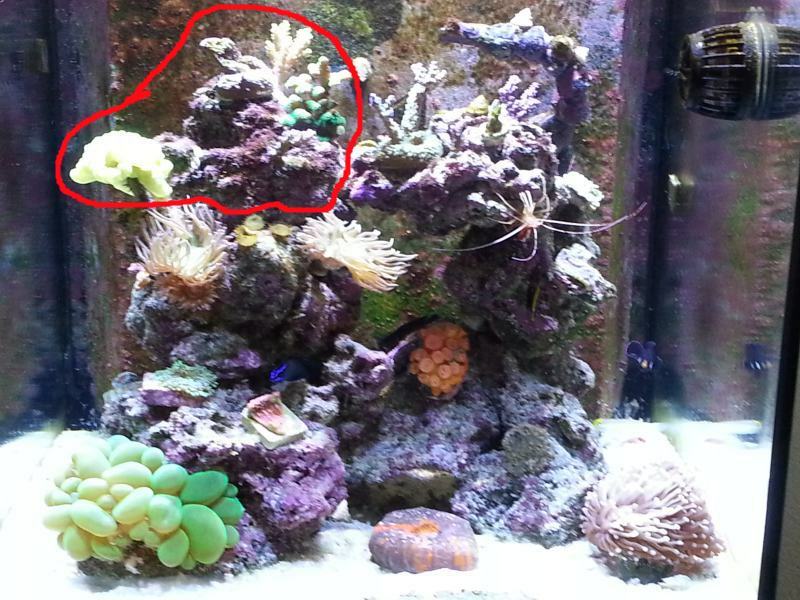 It has become much more of an issue in the recent weeks and even starting to grow on corals (green birdsnest at this time). Added bubble magus doser to help maintain proper parameters for my Calcium, ALK, and Mg, and I'm working on bring those levels up, slowly. I'd love to hear peoples thoughts and/or experience with this method. I've only read about it, 0 testing has been completed. Re: H202 (Hydrogen Peroxide) To Treat Algae? I have read that many people have had success with using hydrogen peroxide to treat certain algae’s. My little 3 gallon tank has started to grass over with HA and I was going to try and experiment with that by pulling individual rock out and bathing them with hydrogen peroxide. Please document your procedures and post them up for us to see the results. I for one am very curious as to how well it really works. I may have to go buy some peroxide to see for myself. This is more of a concern if you do dosing, but still many with success doing that w/ things from the above list. 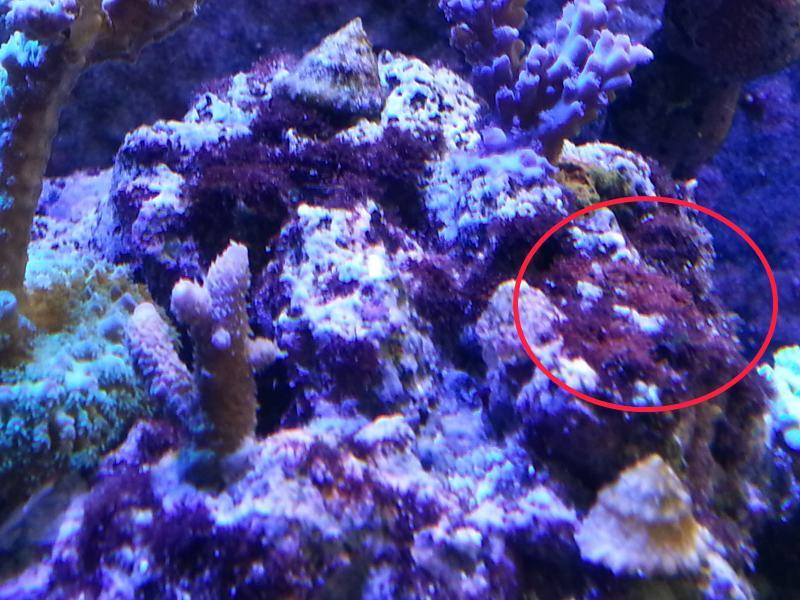 1) Remove area of concern (rock/frag) from tank, apply 3% H202, rinse, put back in tank. 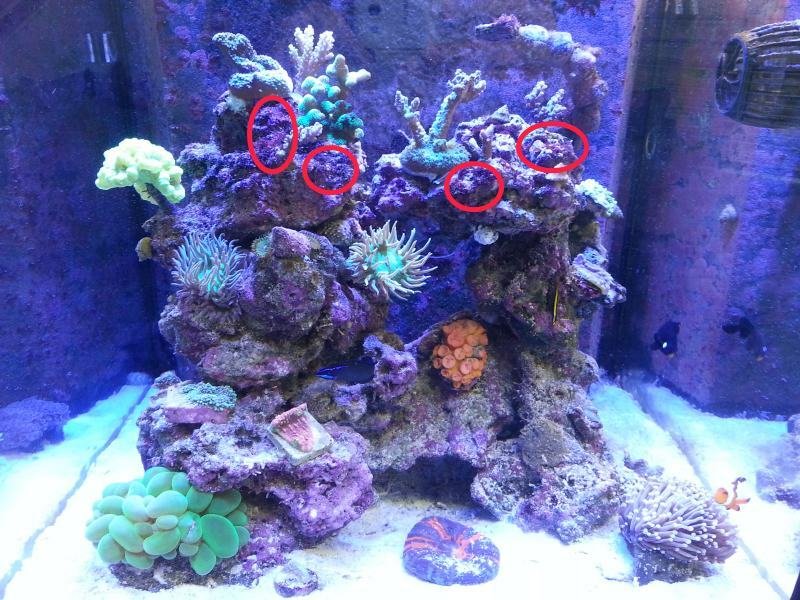 2) Remove water from tank until area is exposed, spot apply to area of concern, put back in old tank water to dilute. Do water change to remove most of the H202. 3) Dose 1ml:10g ratio. This is more popular with larger tanks and fixed rock and/or people with algae on the lower end of tank. Also, many have done a more agressive ratio with success. #2 is what Brandon uses on his 1G pico, he actually removes 100% of the water, and wipes tank with H202 soaked paper towel, puts back in 75% of water or so, then does 100% water change. The above post is just what I've gather from 25 pages of the reference I initially listed yesterday. If by this time next week no dent is being made, I'll probably start with method #1 from above, but I might do method #2 to 1) target the rock and 2) also sample dose the tank. Last night I drained 7G from my 34G Solana (25G water volume) to expose top rocks. I hit 2 top rocks w/ a total of 8ml of 3% H202. I put a drop on one snails shell as well as the top of my MP10, just for study. I let sit for 5 minutes and then added back in the 7G of water. I then drained 90% of the tank water (to catch a fish) and put back in 70% of that water along with 20% new salt water. 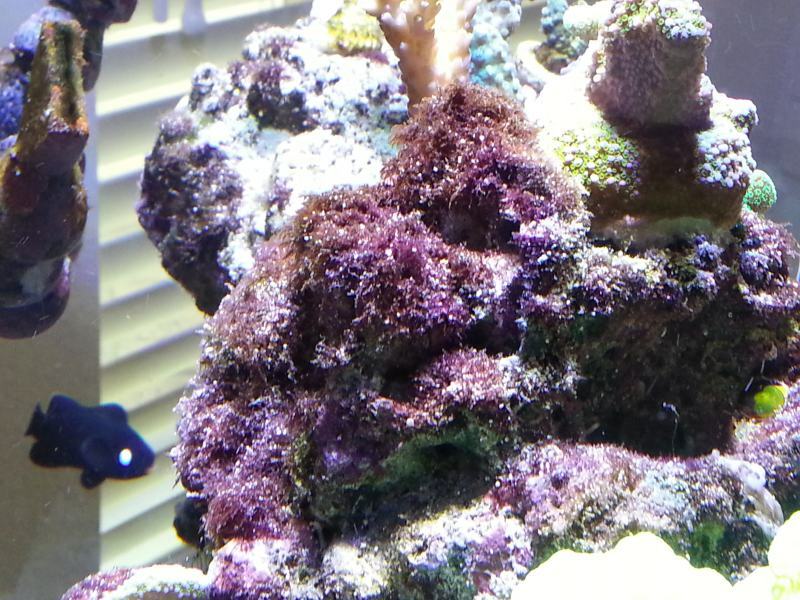 Within a few hours one rock the purple/dark red algae was fading to a brighter red and turbo started to feast. My cleaner shrimp appears to be completely fine. I do plan on doing another 5G water change tonight and replacing all chemical media (standard maintenance). Thanks Cory for your help.